After birth, the umbilical cord is clamped and snipped, and babies are left with a small stump in the navel. This stump falls by itself and it is necessary to let it heal and not try to remove it as it can hurt your baby. 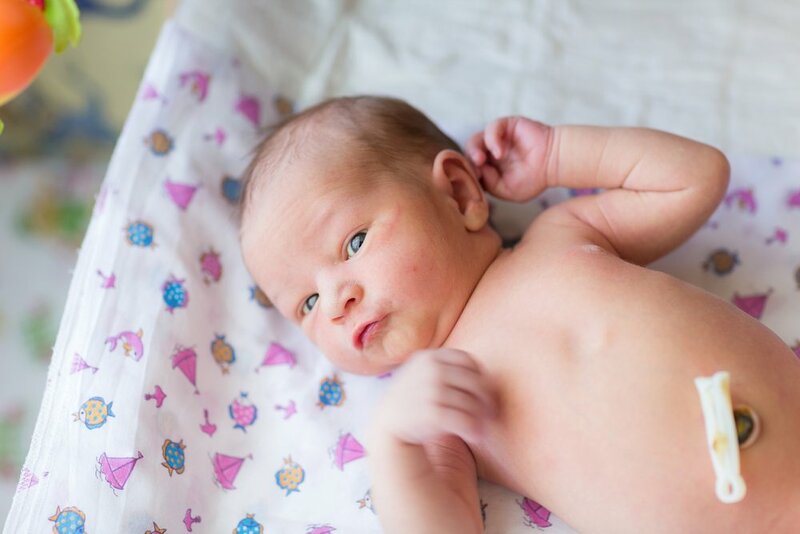 Your newborn’s umbilical cord stump requires special care to prevent infection. To ensure good care, try to maintain the cord and surrounding area clean and dry. If you notice that the stump has become dirty, clean the area with a cotton ball moistened (not soaked) in clean water, and then dry the area gently with an absorbent gauze or by fanning it. The stump gives off a foul odor and yellowish discharge. The skin surrounding the stump is red, tender, or swollen. Remember to stick to sponge baths while your little one still has the umbilical cord stump. It will take about 1 to 4 weeks for it to fall off. Now, if your doctor tells you that you can bathe him normally, you can do it as long as you dry the cord area thoroughly.